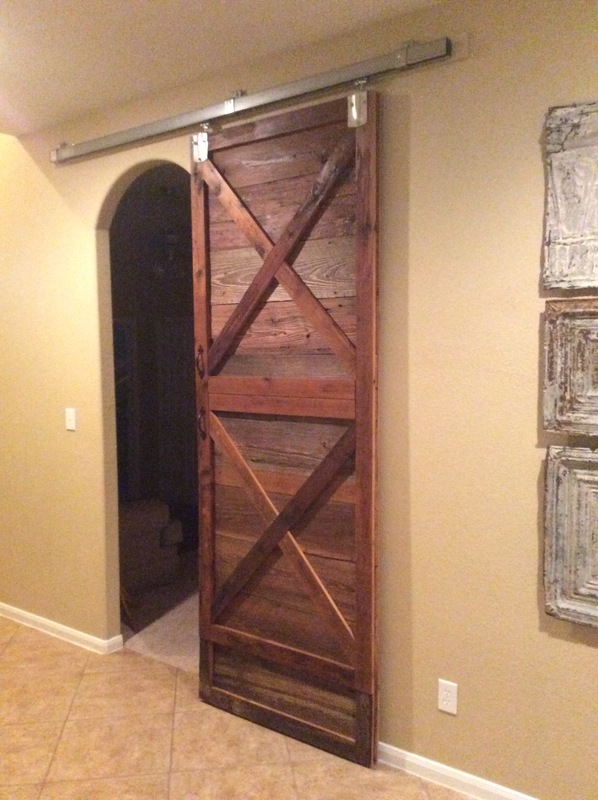 I love barn doors. 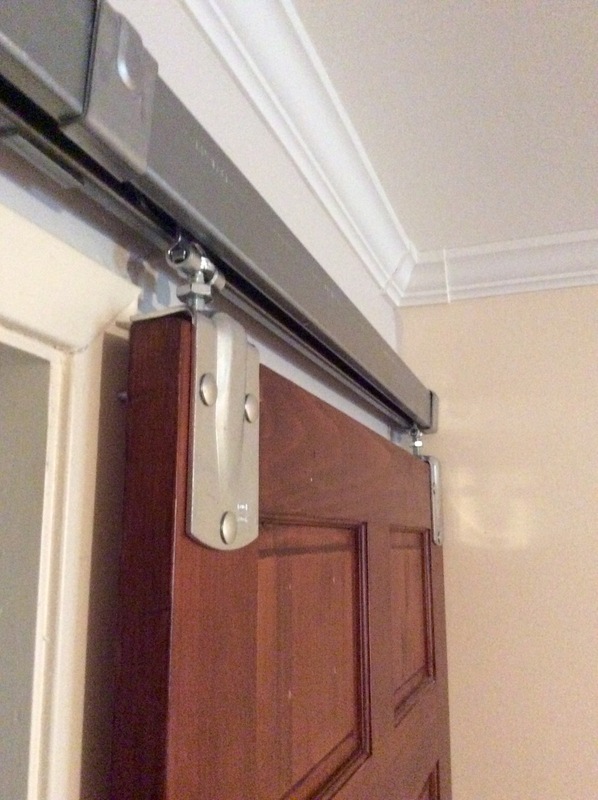 They solve the problem of swing out doors in small spaces, can be made to fit odd sizes, are easier to install than a pocket door and they look cool. I love them so much that soon we will have three. 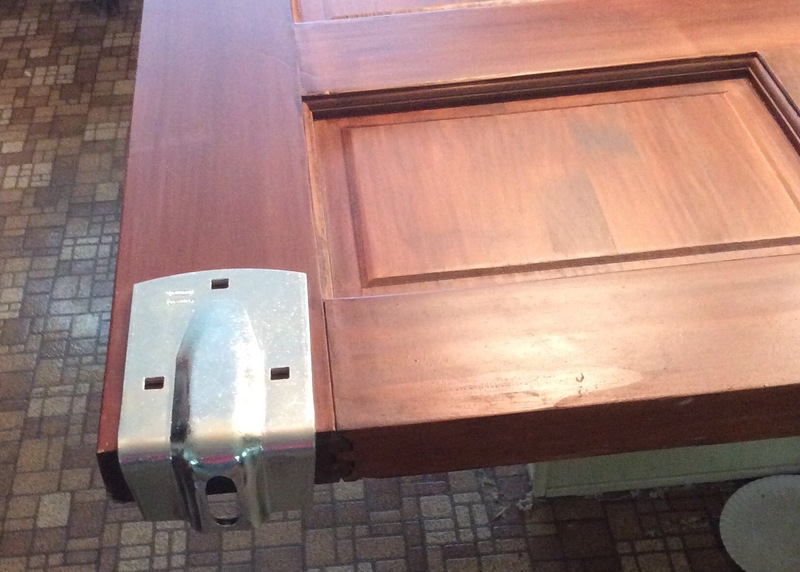 One on the giant bran door that allows us to close off a section of our suburban home when we have guests. 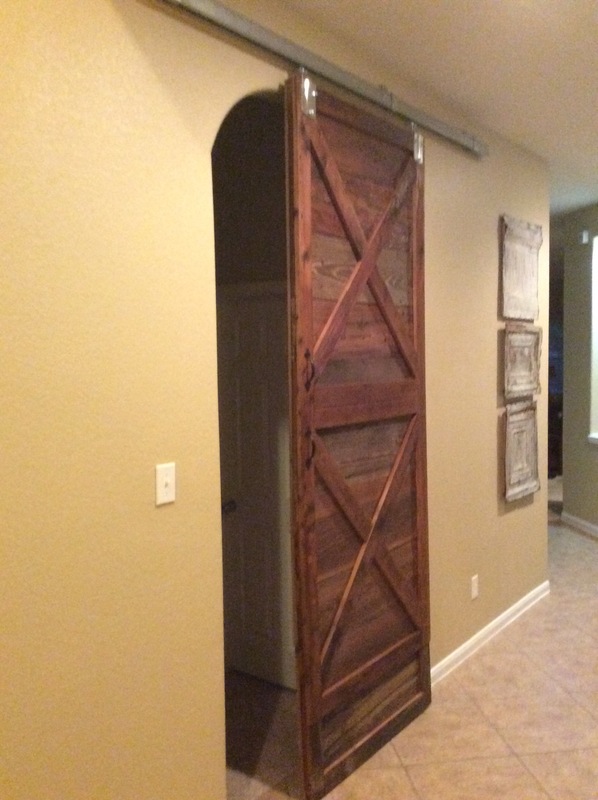 The wood in the barn door above came from my husband’s family barn. 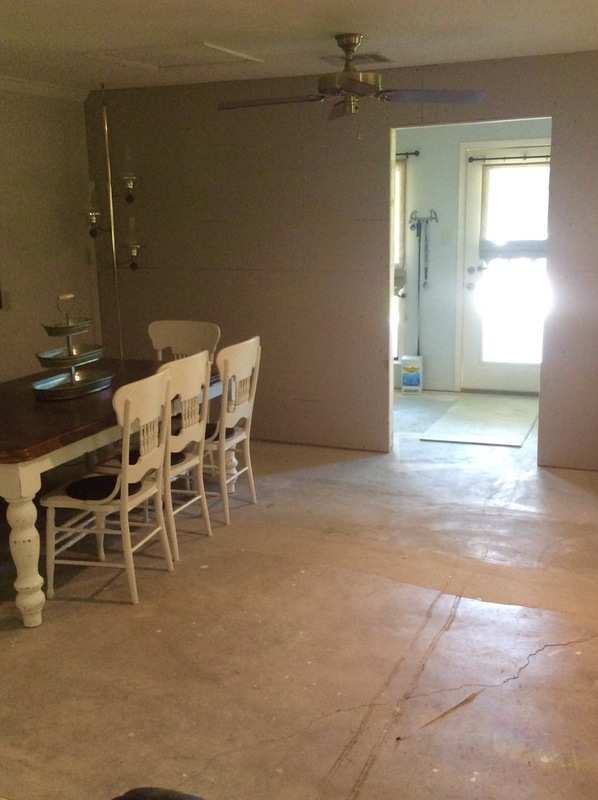 We will soon be putting a barn door over the opening to our mudroom. It will be open most of the time but can be closed off. 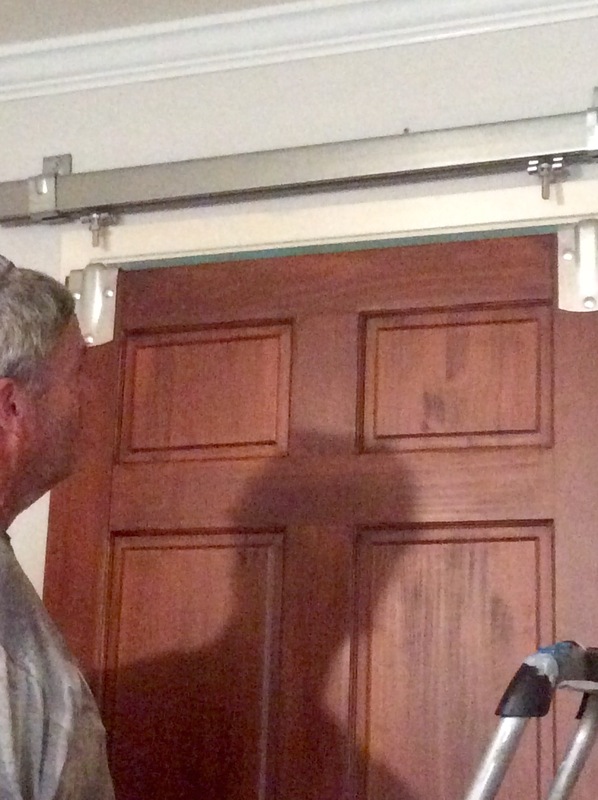 And finally, we installed a door on barn door hardware last weekend. Our master bathroom at Provdence didn’t have a door. That bugged me. 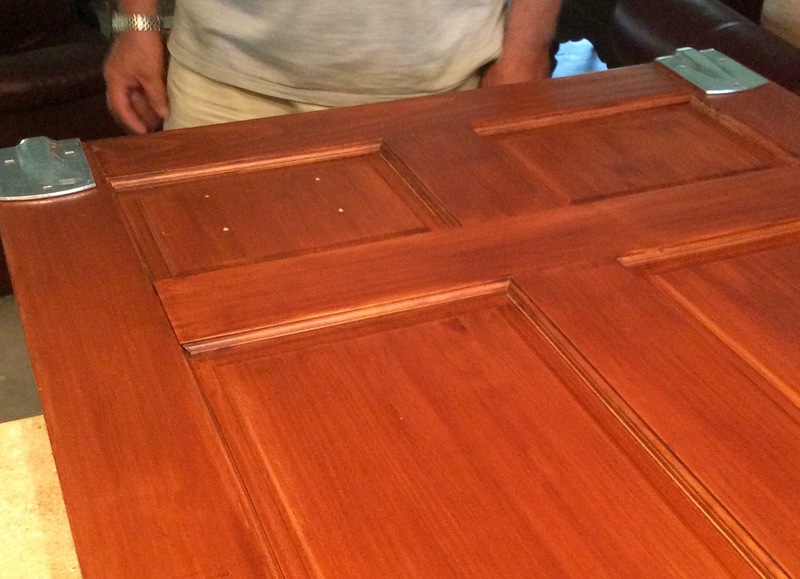 The opening was 36 inches wide so o immediately thought of a door we have had for 16 years or so. I bought it for $20.00 at a community garage sale. 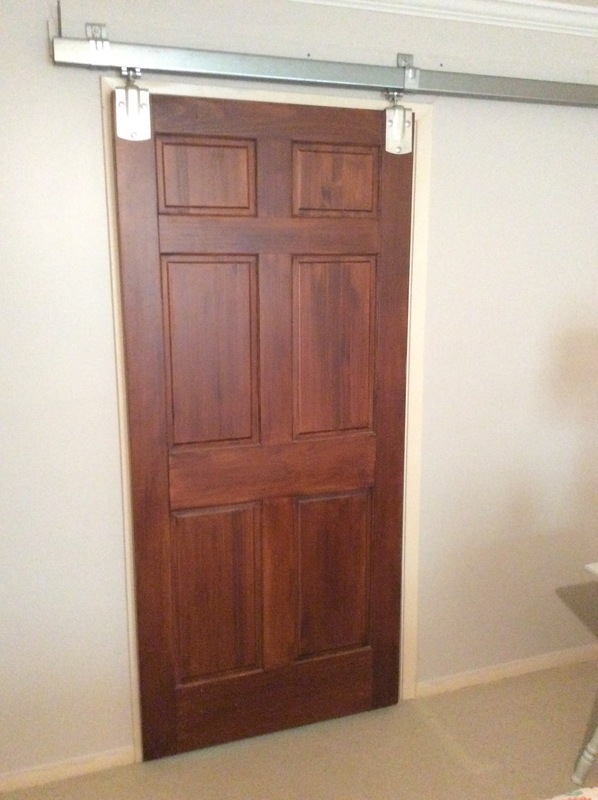 It was an unfinished, solid wood pine exterior door that I stained and used as my daughter’s headboard. It then became our headboard. 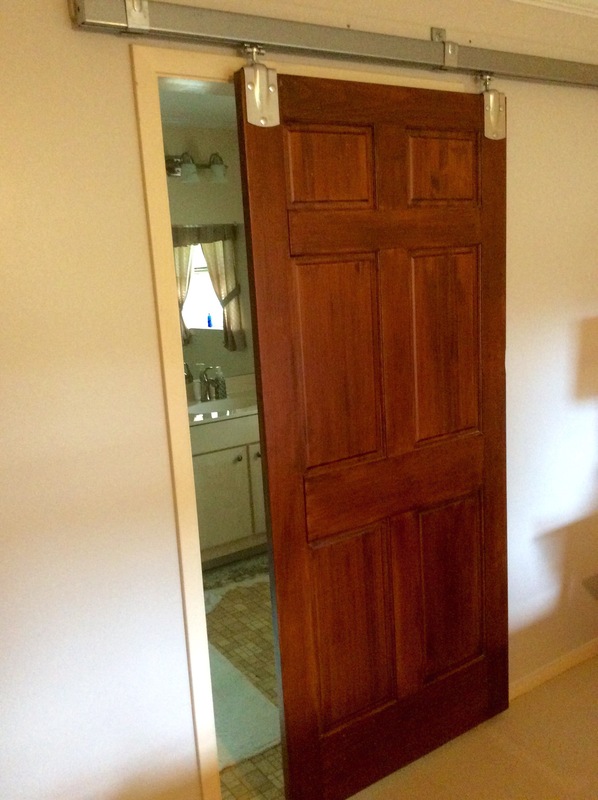 I knew it would work as our bathroom door and best of all, it wouldn’t cost us anything. The reason there wasn’t a door on the bathroom was that there just wasn’t room for a swig out or in 36 inch door. 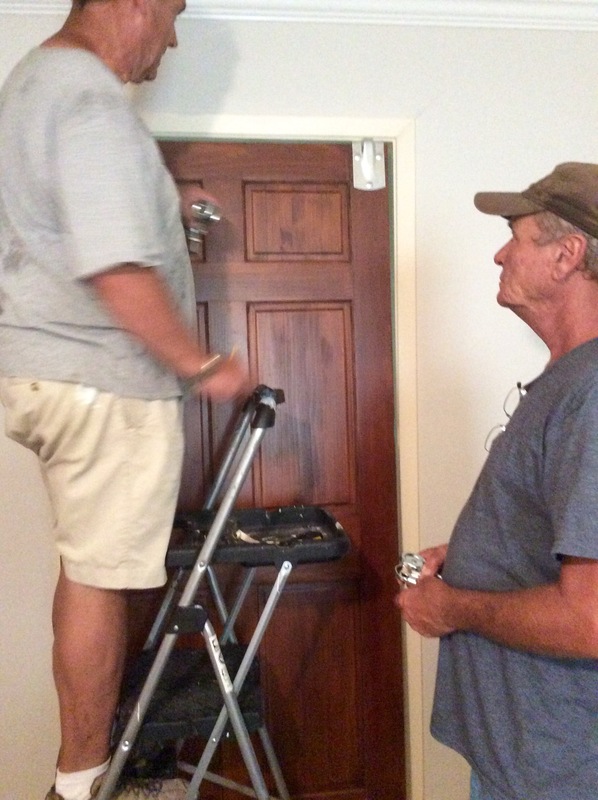 A pocket door should have been installed there 30 years ago when the home was built. 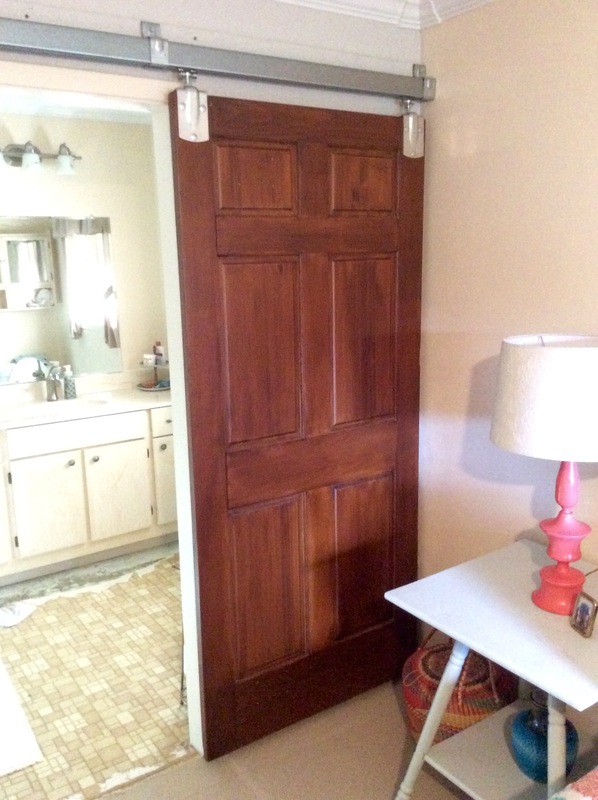 The best solution for the door was a solution I had already used before on an odd opening, a barn door. I bought the hardware from Tractor Supply. 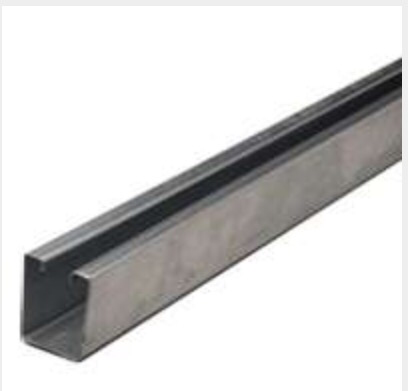 The rails come in two styles, a rounded bottom rail and a square bottom style. We like the square style. 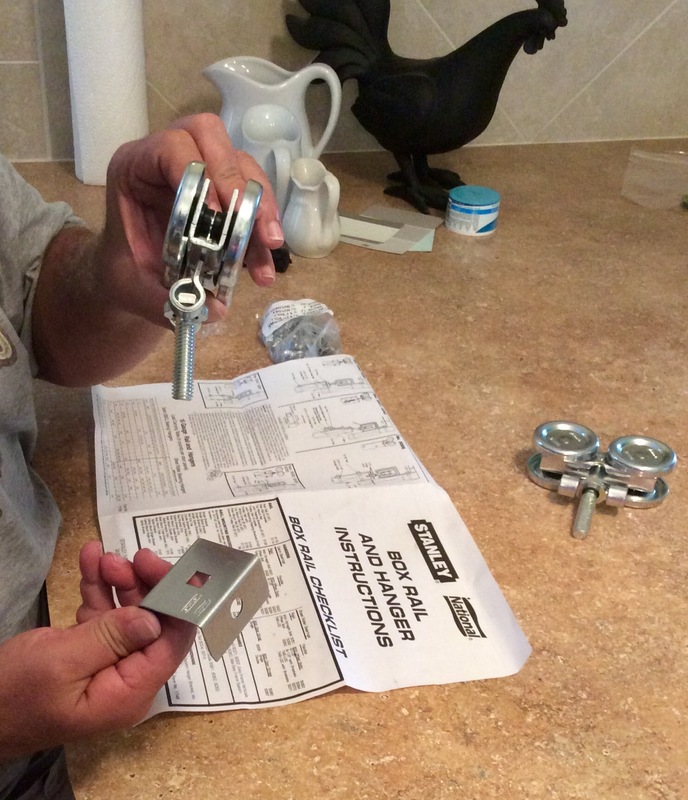 The roller kit we buy comes with everything needed to attach the door to the rail. We are probably going to eventually paint the rail and hardware black, but right now it is about getting a bathroom door. Fast. This particular door is heavy. Mr. Math had to make sure the door stays securely attached. 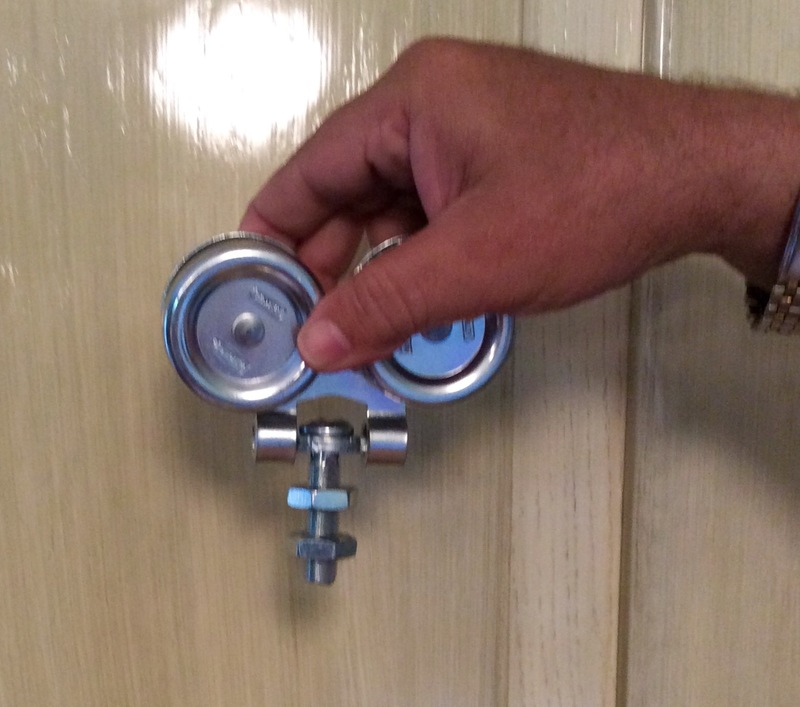 The bolts go complexly through the door and are tightened down. I recommend phoning a friend to hang the door. Our frien, Larry saved the day. I don’t have a picture of the first step. 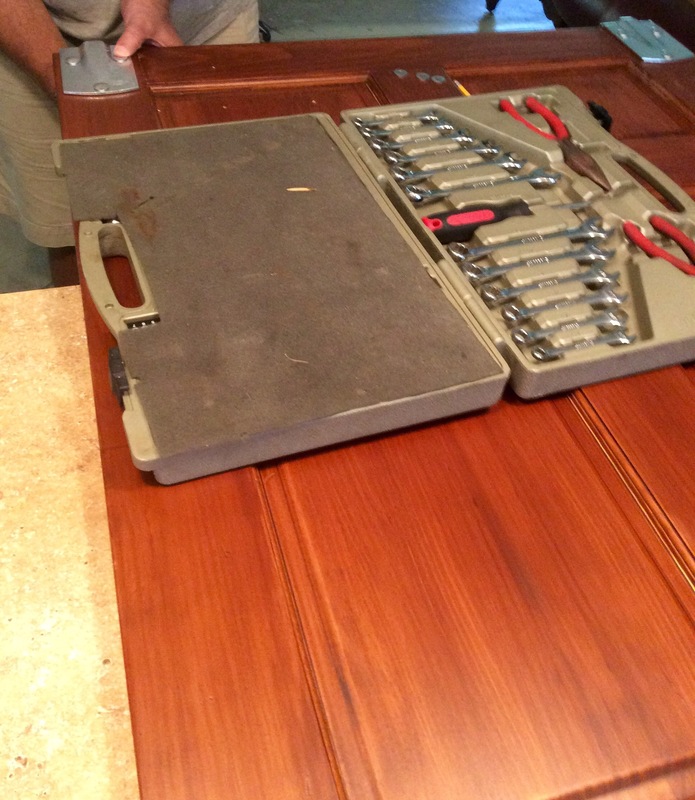 Hang a 1 x 4 into the studs above the opening. 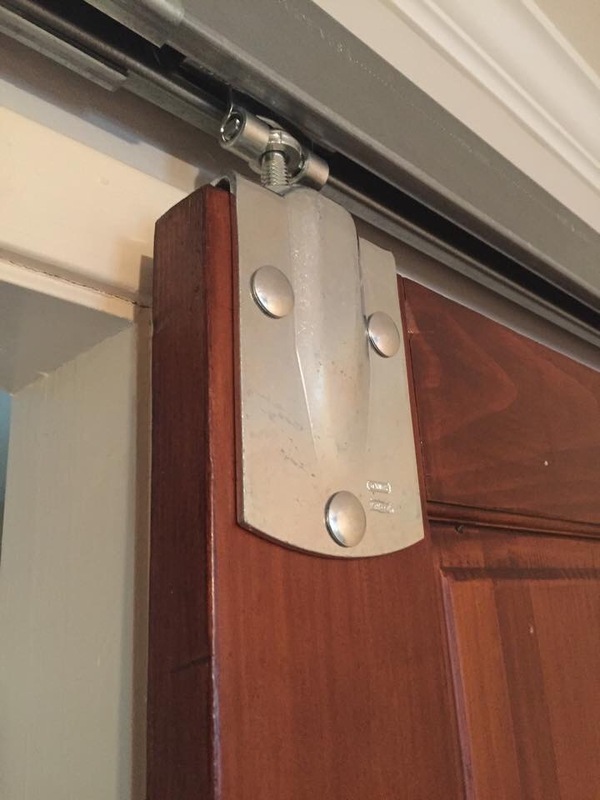 This allows for the door to move across the door facing. The next step is to hang the rail. You have to buy the hangers separately. We bought 3 to hold up our 6′ 8″ rail. 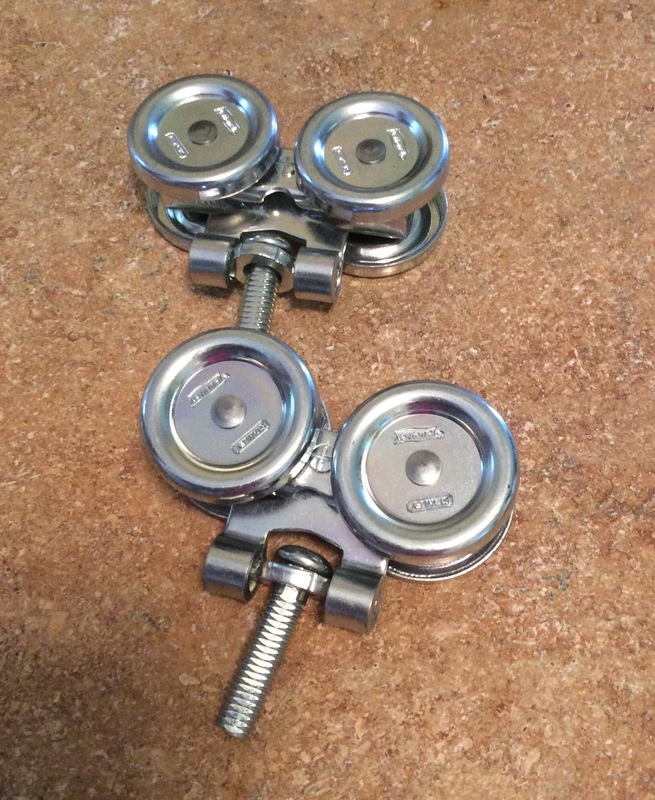 The hangers are adjustable by twisting the nuts on the bolts. I am so happy to have a door.